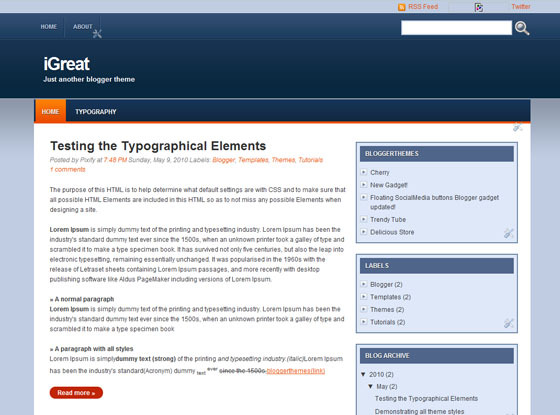 iGreat Blue is an elegant and clean design free Blogger theme suitable for any niche. in your blogger settings theres a layout bit, in there you can upload an xml. Download this and upload the xml. and voila!